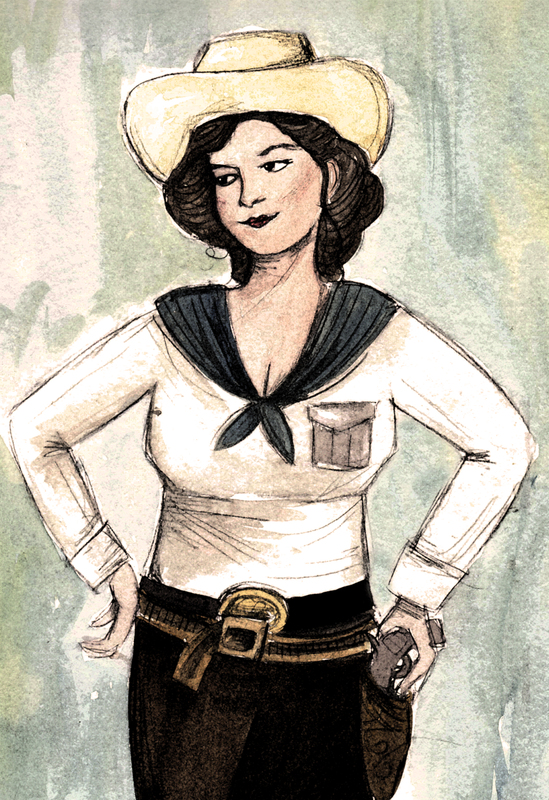 Kitty Leroy was a saloon owner, gambler, dancer, prostitute, madame and trick shooter in the old west. She was born around 1850 in either Texas or Michigan. By all accounts, Kitty was a very, very bad girl with a very, very bad reputation. She married her first husband at the age of 15 and wed 4 more times before her violent death at the age of 28. Kitty landed in Deadwood in 1876 by wagon train with Calamity Jane and Wild Bill Hickok. While in Deadwood she worked as a prostitute to raise money for her Saloon- The Mint Gambling Saloon. It was there she met her fifth husband- a prospector and gambler, Samuel Curley. Curley was a jealous man- and rightly so, it was well-known throughout the town that Kitty had several affairs. This was, unfortunately, her demise as Curley shot Kitty (in a saloon, of course) and then shot himself on December 7, 1878. I would also like to note that if Kitty were a man, we would have had at least 3 movie versions of her life and she would have been as famous as Wyatt Earp, Butch Cassidy, Jesse James or Billy the Kid. From my quick research, I’ve gathered that her sexual appetite, gambling, and gunslinging ways have only earned her a few small paragraphs in various books on the wild west.